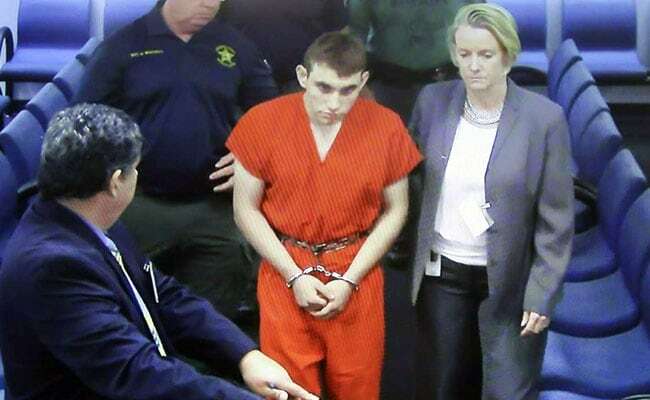 Nikolas Cruz, charged with killing 17 people, sat silently with his head bowed during a procedural hearing in Fort Lauderdale, Florida, in what is expected to be a lengthy and emotional prosecution. 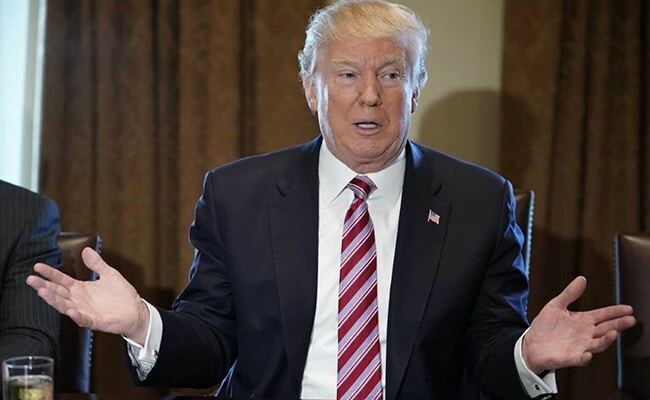 Washington: US President Donald Trump signaled support Monday for improving background gun checks amid mounting pressure for reform in the wake of the Florida school shooting, as the accused gunman appeared in court. 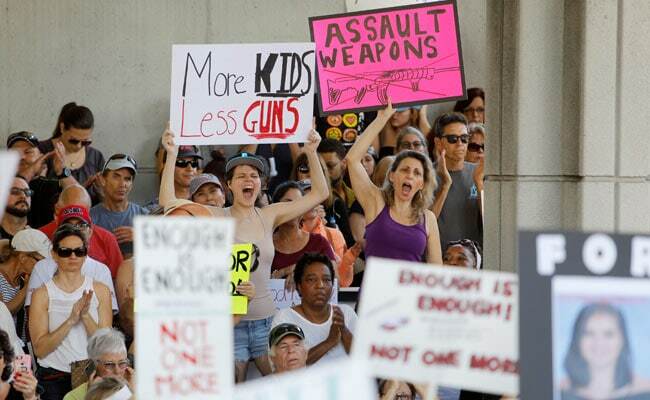 Wednesday's rampage at Marjory Stoneman Douglas High School in nearby Parkland, Florida has ignited protests by students who survived the onslaught and renewed calls for changes in US gun laws. Cruz, 19, was able to legally buy an AR-15 semi-automatic rifle despite numerous red flags that nonetheless failed to prompt action by state and federal agencies. The White House indicated that Trump is receptive to a bipartisan proposal that would require more prompt reporting to a national database of offenses that would bar an individual from buying a firearm. "While discussions are ongoing and revisions are being considered, the president is supportive of efforts to improve the federal background check system," White House spokeswoman Sarah Sanders said in a statement. The legislation, however, does not address the broader, divisive issue of permissive gun laws under the Second Amendment of the US Constitution, which protects the right to bear arms. Chanting "Shame on you, Shame on you," about 100 students from area high schools gathered outside the White House and staged a "lie-in" to press demands for change. "More Guns, More Murder," read one of the signs carried by demonstrators. Maya Smith, 15, said she fears for her life when she walks into school "because the government won't decide that my life matters as much as the right to bear arms matters." "We as students shouldn't be worrying about being shot in our school," said high school junior Juneau Wang. "Students should be worrying about a bad test grade, not the fact that someone could walk in with an AR-15 any time during the school day." After earlier mass shootings, Trump has said little about guns, focusing instead on the mental health of shooters. Following the October 1 attack in Las Vegas that left 58 people dead, he said only that "we'll be talking about gun laws as time goes by." The president initially made no mention of guns, drawing an angry reaction from Democrats and angry Floridians. Chuck Schumer, the Senate Democratic minority leader, noted that Trump's proposed 2019 budget would actually cut spending on the background check program. Even one of the most shocking mass shootings of recent years -- the 2012 attack on a Connecticut elementary school that left 20 young children and six adults dead -- brought little legal change, though Connecticut and a handful of other states toughened their gun laws. But there are some indications that the limited steps Trump backs might succeed. The NRA says it has "long supported the inclusion of all legitimate records in the National Instant Criminal Background Check System." Gun control advocates also back the bill sponsored by Senators Joh Cornyn, a Republican, and Chris Murphy, a Democrat. They came together after a gunman killed 26 people at a Texas church in November. "This is a real, genuine effort from people who couldn't be further from each other on the other side of the aisle," a Coalition to Stop Gun Violence official told The Atlantic magazine. And the impassioned calls for change from Parkland shooting survivors -- photogenic young people who say they can no longer put up with the inaction of older generations -- have kept the issue alive. "We need to do something," 17-year-old David Hogg, a shooting survivor, told CNN. "Congress needs to get over their political bias with each other and work toward saving children's lives." CNN is holding a town hall meeting on Wednesday with the victims' classmates, parents, community members and Florida politicians. The students' cries for action would appear to enjoy broad support. A Quinnipiac University opinion survey in November found that support for universal background checks had reached an all-time high, with 95 percent of voters favoring such checks.